If you’re reading this, you probably know how Time Lock works, and you may have read about its use for lending FSN to increase the efficiency of the FUSION mining economy. That’s just the beginning of Time Lock. Time Lock facilitates the realization of the time value of money. The time value of money is the basis of interest rates, lending, and finance generally. The applications of Time Lock are endless. Let’s jump from the crypto-economy to the real economy to see another application of Time Lock. First, we must learn a bit about international trade. Imagine an import-export deal. The Exporter in Brazil ships beef to the Importer in Phillipines. International shipping is logistically complex. If something goes wrong, how is the situation handled from across the globe? Both the Importer and Exporter feel counterparty risk. The Importer could pay for the beef before it is delivered, and risk incomplete or flawed delivery. Or the Importer could pay on delivery, in which case the Exporter risks that the Importer fails to pay or rejects delivery. The banker’s acceptance (BA) is a key financial instrument that secures international trade. A BA is type of time draft, or short-term loan. Specifically, a banker’s acceptance is a promise to pay a set amount to a predetermined recipient at a future date, guaranteed by a bank. BAs represent money that is accessible in the future. A banker’s acceptance is issued by a payer to the recipient, like a post-dated check. In contrast to a post-dated check, banker’s acceptances are tradable on the secondary market. Before the future date occurs, while the BA is still immature, it may be sold at a discount. By creating an inclusive platform, FUSION will bring competition to the secondary market for risk-free loans, providing fair price discovery for the time value of money. 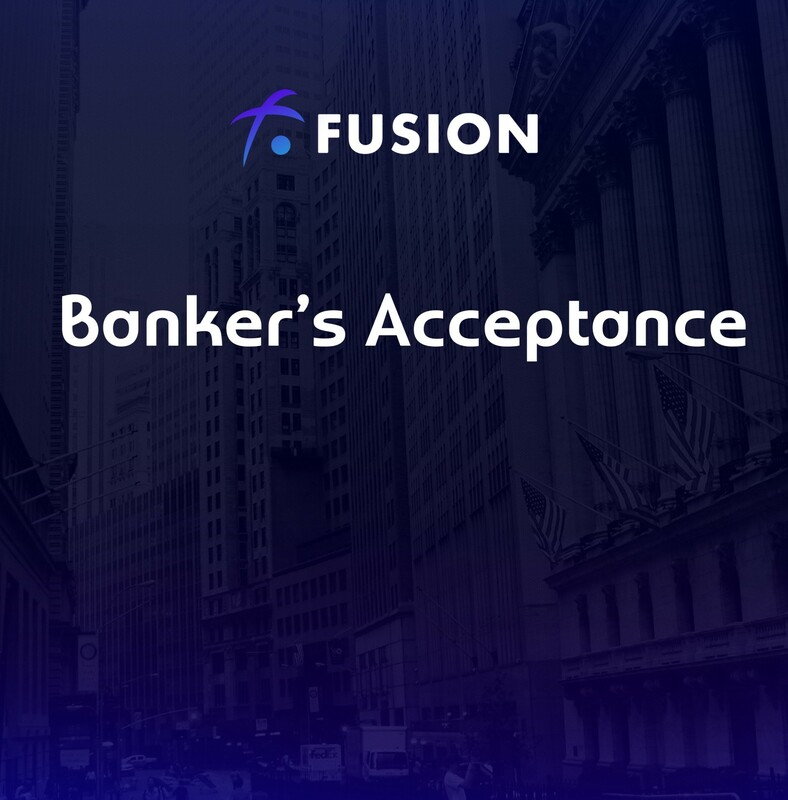 FUSION’s Time Lock function may be applied to the use case of banker’s acceptance and other forms of time draft. With Time Lock, the “banker’s acceptance” is improved. In a BA, the purpose of the bank is to guarantee the payment at the future date. With FUSION, payment at a future date is guaranteed by consensus of the Blockchain. Banker’s acceptances are a big business for banks that is poised for disintermediation by an inclusive decentralized programmable network, the Internet of Values. Join us on Telegram if you have any more questions on Time Lock.